Bath & West competition – create pies fit for royalty and win! 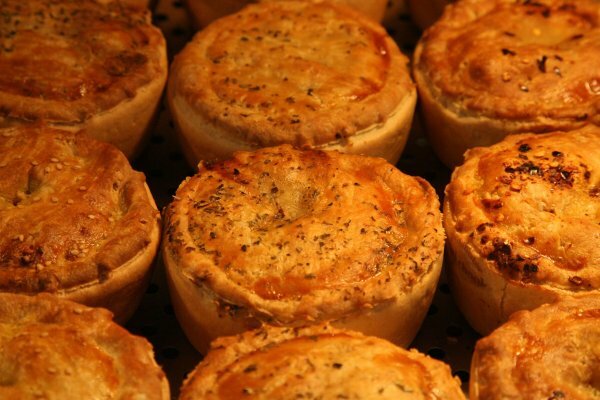 The Royal Bath & West Show is calling on food lovers from across the South West to come up with the ultimate pie to be crowned the King or Queen of Pies. Foodies, pie-lovers and baking enthusiasts will be called upon to submit their recipes and bake the ultimate savoury or sweet pie. The savoury pie will be crowned King of Pies and the sweet pie crowned Queen, by a panel of judges at a special taster session at creative kitchenware specialists, Lakeland in Bath. Winning bakers will also win an exclusive prize from Lakeland and free tickets to the show. The search for the perfect pie also kick-starts the show’s, ‘I heart baking’ campaign, which will culminate in a festival of baking during the four days of the show from 30 May to 2 June. The show’s organisers hope the campaign will appeal to the taste buds and enthusiasm of the thousands who descend on the Royal Bath & West Show every year. Last year the show enjoyed visitor numbers of more than 160,000, where many enjoyed the delights of the vast food halls filled with some of the region’s top, award-winning food producers. Alan Lyons, show manager for the Royal Bath and West Show, said: “As we are a royal show, we thought that it is only fitting that we launched a search for a pie fit for royalty. To enter your winning recipe, visit www.bathandwest.com/royal-pie-competition/225/.